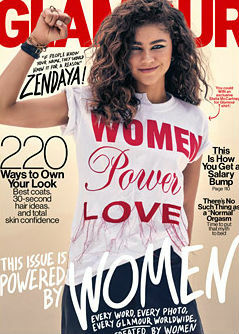 –Zendaya looks fierce on the cover of Glamour, in which she gushes about her role models: Oprah, Shonda Rimes and Rihanna. -Today’s crappy news just keeps getting crappier. Despite reports that he already died after being found unconscious after a cardiac arrest on Sunday, TMZ says Tom Petty was removed from life support this afternoon but is still clinging to life. It’s not looking good. –Prince Harry got kissy with Meghan Markle at the Invictus Games’ closing ceremony. Bless him for giving us exactly what we all needed today. -Flatliners started weekend with rare 0% score on Rotten Tomatoes. It then creeped up to a grand total of 3% by weekend’s end. Ellen Page deserves better. -Speaking of things critics hate, fall’s worst-reviewed show so far remains ABC’s Inhumans, which currently has a Rotten Tomatoes score of 4%. -The SNL season premiere was a mixed bag, but I will never not love Ryan Gosling‘s tendency to break over the smallest thing. -For some reason, the sketch about Papyrus made me laugh the most. The font’s creator is rolling with it. -Meanwhile, Scarlett Johansson accompanied Colin Jost to the SNL after party, so that’s still happening. –Eva Mendes joined Ryan Gosling at the party too, so enough of those silly rumours. -Just when I thought I couldn’t like the sounds of Amazon’s Good Omens more, they go and add Jon Hamm to the cast. Get in my eyeballs already!! -This is hilarious: YouTube stars are demanding money to show up to celebrity gifting suites. Way to make a gross practice even grosser, guys. -This is an interesting take on how Netflix is banking on original series, while Hulu is banking on an archive of older shows. But I want both! –Kendall Jenner cried over her infamous Pepsi ad on the KUWTK season premiere. Sure. -I feel like the universe needs all these gifs of Idris Elba today. NEEDS THEM! -Thor: Ragnarok has a new international trailer.